USC US-China Today: Multimedia . 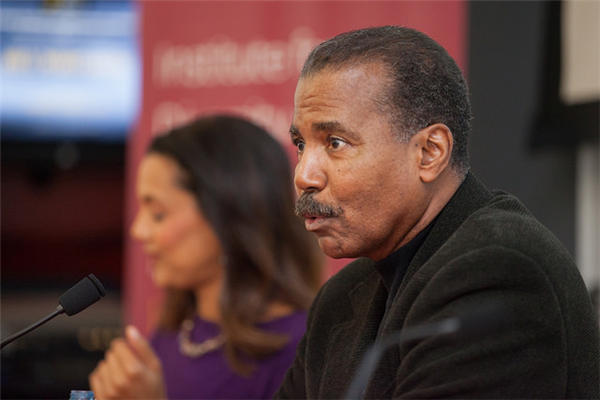 US-China Today sat down with Bill Whitaker to learn about his time as a CBS News correspondent in Asia, including covering the Tiananmen Square protests. This video explores how pervasive Orientalist images and themes have been in American cultural productions over the past few decades. Known as techno-Orientalism, this phenomenon has drawn the attention of many cultural critics. Composed of clips from movies like Blade Runner and Star Wars and interviews with a scholar, a cultural blogger, and a playwright whose works engage with this topic, the video touches on the problems and hopes of techno-Orientalism. Visuals and statistics explaining the online food delivery market in China, with a comparison to the U.S. market and an analysis of consumer habits. After giving birth, Chinese mothers often "sit the month" to restore their bodies with the help of a confinement nanny. Xi Jinping is not only China’s most powerful leader since Mao, but also a figure with his own fascinating personal history with roots in rural Shaanxi province. US-China Today went to San Gabriel Valley to gauge the reactions of Americans and Chinese to the blockbuster movie Wolf Warrior 2. "Rink Rats Beijing" explores the growing number of Chinese youth playing ice hockey, despite it being traditionally popular in the West. An infographic comparing US-China menstruation habits, and breaking down the economic and social factors that influence how Chinese women perceive tampon use. The Asia Society's U.S.-China Film Summit is a hotbed of international film collaboration—both for those in the industry and those hoping for a piece of the pie. Originally from Hong Kong, film director Ruby Yang has made a name for herself by tackling controversial topics in Chinese society.